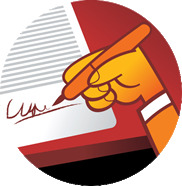 Only applications with original signatures will be processed. Which high schools do we serve? Admissions Process: How do I apply? When does the enrollment period begin and end? When are new program participants required to begin? What if an acceptance letter was not received? What are the program's expectations of participating students? What can my student expect from Upward Bound? Upward Bound is a federally funded program that prepares high school students to enter and succeed in college. Throughout the Academic Year, students receive instruction and encouragement to develop their academic and personal skills. Students also receive help developing their college and career plans and participate in exciting cultural activities and experiences. 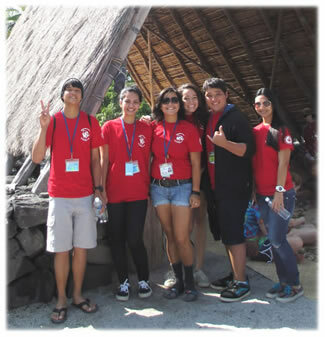 During the Summer, invited students participate in our Summer Academy Program where they live and learn on the University of Hawaiʻi at Hilo Campus for five to six weeks. to one of the high schools we currently serve. Complete the Upward Bound Application and submit it to your school counselor or mail it to the Upward Bound Office. If the student meets eligibility requirements, an invitation will be sent to the student and their parent to attend an Information Session. BOTH the student and a Parent must attend the Information Session. It's... if eligible; only your commitment is required. The program, including the summer program room and board is offered at no cost! Upward Bound accepts applications throughout the Academic Year and admits applicants as openings occur. Applications and all required documents must be received by the end of March to be given consideration for the Summer Academy Program. Summer Academy students, must begin on the first day of summer classes in June and attend through July. Every applicant will receive either an “acceptance letter,” a “non-acceptance letter” or a letter stating the student is on a waiting list. However, we have no control over the postal service, so if you don't hear from us within two-weeks... don't hesitate to follow-up with our office at any time by calling (808) 932-7517. Students are selected based on academic need, motivation to pursue a bachelor degree, and willingness to commit to a challenging college preparatory program. Motivation:The student must demonstrate the desire and willingness to work in preparation to be successful in college. Desire and willingness is demonstrated by a good faith effort to earn good grades in high school classes, especially core college preparatory classes. Your strong will and the choice you make will carry you successfully to the goals you choose. Commitment:The Program and every staff member will commit 100 % effort to support the student. In turn, the student must make the Program a priority by showing 100% commitment and involvement in program activities. The more you put in, the more you will get out of this Program – just another way of saying you get what you earn. Persistence: The student must be willing to work consistently to accomplish her/his academic goals. Persistence will overcome nearly any barrier. Persistence, more than brilliance, has the power to produce excellence. Enthusiasm: The intent of the Program is to help the student explore new areas and become more excited about learning. With so many new discoveries in the world and so many exciting opportunities, a student should have no trouble maintaining enthusiasm while learning. Remember, enthusiasm is infectious. If you are excited about what you are doing, other will also become excited and be willing to work with you. Follow Through: The program attempts to help the student master her/himself, and thereby master the environment. Developing good learning habits, meeting timelines, fulfilling one’s obligations, provides the control each person desires over her/his own life. Doing the things on must in an efficient and timely manner produces greater freedom to do the things ones like.